The extent of their involvement is shown in the following tabulation of the reported numbers of physician-assisted suicide deaths in Oregon for the past twelve years (1998-2009). The Compassion & Choices numbers for the 1998-2007 years are printed information distributed by George Eighmey, Executive Director of Compassion & Choices of Oregon at a public forum in Vancouver, Washington on 9/25/2008). 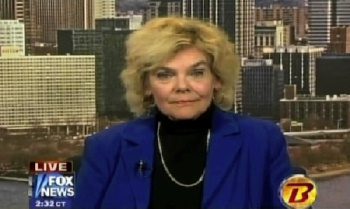 The 57 C & C PAS deaths in 2009 were reported to me by Sue Porter, a C & C officer, in her e-mail to me on 2/14/10. The numbers of PAS deaths for the state for each year are from the published Oregon DHS annual reports regarding Oregon’s assisted suicides. 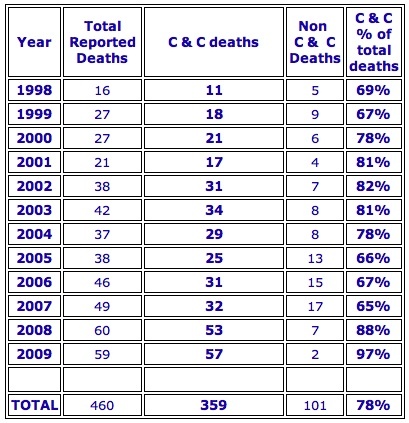 In 2009, The C & C PAS deaths accounted for a whopping 97% (57 of 59) of the reported assisted suicide deaths? They do control physician-assisted suicide in Oregon! 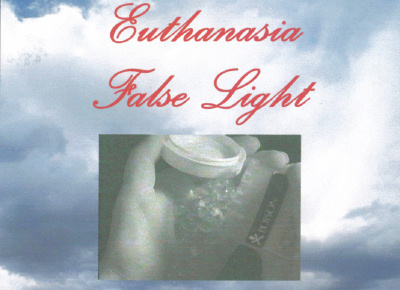 More about assisted suicide in Oregon.